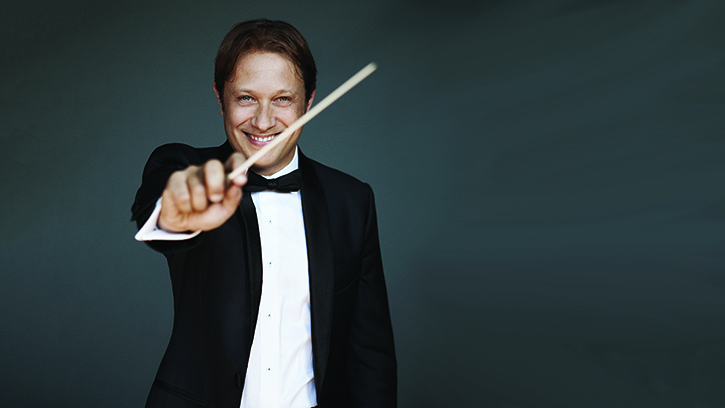 Music Director Ludovic Morlot’s final season is a culmination of the bold and innovative programs that have defined his tenure. We’re thrilled to announce our 2018–2019 season, which weaves together the music, composers and performers that have defined Ludovic Morlot’s tenure. Morlot returns to some of his favorite works next season — Bach’s Mass in B Minor, Ravel’s Piano Concerto and Tchaikovsky’s Symphony No. 4 — and continues his commitment to new and creative programming with several world premieres, including Grammy-winning composer Caroline Shaw’s Piano Concerto and a new piece for Heiner Goebbels’ Surrogate Cities. Some of Morlot’s most cherished musical collaborators join him in this farewell season including the fantastic pianist Jean-Yves Thibaudet, Grammy-winning violinist Augustin Hadelich, the remarkable tenor Kenneth Tarver and acclaimed pianist Jonathan Biss. Morlot builds on his exploration of the French repertoire with a major focus on works by Claude Debussy during the centenary year of the composer’s passing, including his influences and the contemporary French composers he inspired. Principal Guest Conductor and Music Director Designate Thomas Dausgaard conducts Nielsen’s Symphony No. 2, “The Four Temperaments,” and the first public performance of George Walker’s Sinfonia No. 5, “Visions,” among other works. The 2018–2019 season is filled with renowned soloists, including violinists Itzhak Perlman, Joshua Bell, Nicola Benedetti and Leonidas Kavakos; pianists Inon Barnatan, Sir András Schiff, Khatia Buniatishvili and Steven Osborne; and cellists Matthew Barley and Sheku Kanneh-Mason, among others. Throughout the 2018–2019 season, Seattle audiences can experience music from forward looking artists, including new commissions by composers Kinan Azmeh, Joël-François Durand, Heiner Goebbels, John Harbison, Caroline Shaw, and Chen Yi. Continuing the orchestra’s commitment to supporting new works, the Seattle Symphony will perform 25 works by contemporary composers, including 10 world premieres. Experience the Seattle Symphony as a subscriber to receive the best seats at the best prices while enjoying exclusive rewards. Join us for a transcendent season of music!